According to a study conducted at the Mayo Clinic, USA, with 52 volunteers the application of THC relaxed the large intestine. Participants were randomly assigned to receive either a single dose of 7.5 mg oral THC or a placebo. The effects of THC on the colon were measured one hour after medication, during fasting and one hour after a meal rich in calories (1000 kcal). THC caused a significant increase in colonic compliance, a non-significant increase of relaxation in fasting colonic tone and a significant inhibition of colonic tone after the meal. 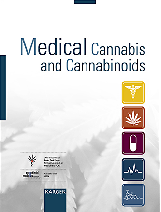 The authors concluded that THC relaxes the colon and reduces the colonic motility and tone after a meal. 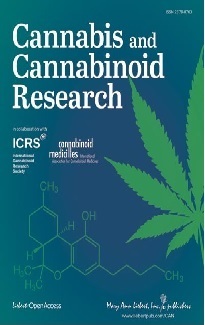 "The potential for CBR [cannabinoid receptors] to modulate colonic motor function in diarrheal disease such as irritable bowel syndrome deserves further study," they wrote. By a slender margin, lawmakers in New Hampshire decided on 28 March against letting people with debilitating illnesses use cannabis for pain relief or other medical purposes. The 186-177 vote in the House of Representatives stopped a bill that would have decriminalized the drug's use for patients under the care of a physician for severe illnesses such as cancer, AIDS or multiple sclerosis. Meanwhile, a move to legalize cannabis for medical purposes cleared its first legislative hurdle in the state of Connecticut. On 21 March the Judiciary Committee voted 31-8 in favour of the legislation. This year's version would allow residents, 18-years-old and older, with a debilitating medical condition diagnosed by a physician, to cultivate and use cannabis to relieve the symptoms of their disease. Alaska, Arizona, California, Colorado, Hawaii, Maine, Nevada, Oregon, Rhode Island, Vermont and Washington have already legalized the medical use of cannabis. The legislature of New Mexico also passed a bill that would legalize the medical use of cannabis in March 2007 and Governor Bill Richardson, who still has to sign the bill, supports the measure.